Reliability and good thermal insulation are the two basic requirements for entrance street doors. The huge variety of such products only makes it difficult to choose. Someone falls for the “bait” of advertising, someone is seduced by discounted prices or a beautiful appearance, and some simply succumb to persuasion of good sellers. But most of the time in this way people only get problems. 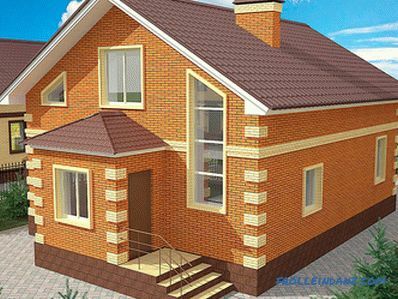 If you can not decide which front door is better to put in a private house from the street, we offer you the basic rules for the selection of such structures. This material will talk about metal and metal-plastic doors. The use of wooden doors, as input, today is not advisable for fire, strength and other characteristics. The main problems that can be expected by the owner of a street entrance door are the formation of condensate, frost, corrosion and a damaged appearance. As part of this material, we will tell you how you can solve all these problems. Most consumers prefer metal door structures, considering them to be stronger, more durable and reliable. But is it really? What characteristics will indicate that this or that door is really made qualitatively, will be able to protect the house and its inhabitants from uninvited guests, and it will last a long time? How to get rid of the problem of freezing metal doors? All this in order. Consider the question of which entrance doors are best to put in a private house in terms of the reliability of their design. The strength of the door depends on two main factors - design features and manufacturing technology. Preference should be given to entrance doors, for the manufacture of the cloth of which steel sheet is used with a thickness of 1.2 to 2 mm. The thicker the steel, the stronger and harder the door. From inside, the structure is reinforced with metal ribs. combined (there are vertical and horizontal edges, there are even inclined). Vertical stiffeners are designed to withstand torsional loads. They do not give the opportunity to bend the lower or upper corner of the door leaf. Horizontal elements do not allow pushing the canvas or squeezing it from the box. But the most optimal variant is a combined system of ribs, since it has the advantages of both types. This system can be seen on the above image. Entrance doors can have only an external metal leaf or can be equipped with a sheet and from the inside. The connection of structural elements is carried out by spot welding. Armored doors can provide increased security. They are manufactured using the same technology as safes. Concrete is poured inside the structure, making it bulletproof. Such doors are usually equipped with safe types of locks and have a number of protective options. But this article is not about that. 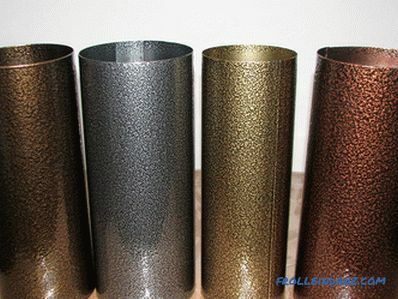 We do not recommend to purchase as street ones, doors from too thin tin (less than 1.2 mm). Especially in this regard, Chinese manufacturers sin, tin on these doors can be easily cut with a knife to open canned food. Door frame. The reliability of the entrance door is determined not only by the web device, but also by the design of the door frame. Ideally, the box should be made of rather thick steel (0.3-0.5 cm) and have a U-shaped profile. 1. Stiffener; 2. MDF panel; 3. Insulation; 4. Thrust bolt; 5. The armor plate on the lock; 6. Compactor; 7. Box; 8. Door leaf; 9. Hinge with bearing; 10. External clamping plate; 11. Metal sheet; 12. Anti-detachable pin. In addition to robust door and box construction, reinforced hinges provide protection against burglary. There are various models of loops: usual, safe, ball or with the basic bearing. The latter option is considered the most effective. The number of hinges depends on the design of a particular door - its dimensions, metal thickness, type of exterior and interior decoration. Even if the door is not heavy, it must be equipped with at least three hinges, and it is better if they are not accessible from the outside. 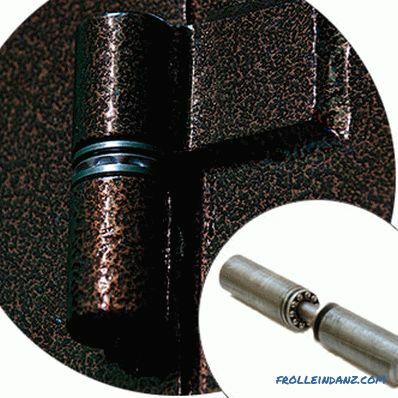 Metal entrance doors must also be equipped with powerful anti-detachable pins (2-4 pieces) . 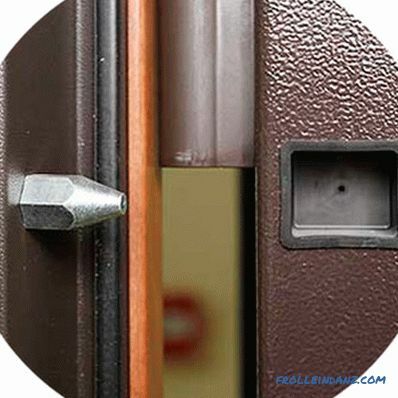 They are located at the end of the door on the hinge side and are passive bolts included in special holes in the door frame.Pins securely hold the door when it is in the closed position. 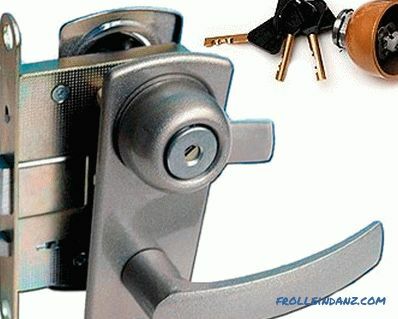 Even if the attacker manages to cut all the hinges and open the locks, he cannot open or remove it. In our harsh climatic conditions, the question of which doors to put in a private house so as not to freeze is of particular importance. In the absence of an external protective and decorative panel, frost and frost on a metal sheet are common phenomena, and especially if the door goes directly to the street. However, even if there is a bilateral facing and an unheated vestibule, the interior will not be protected from the cold if the door does not have insulation. A mandatory component of any entrance door is a reliable internal thermal insulation layer. Mineral wool, polystyrene foam and other materials with low thermal conductivity can be used as insulation. 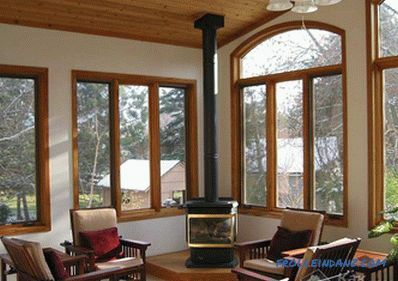 To maximize thermal insulation, it is recommended to place insulation in the hollow frame of the door frame. When buying the front door be sure to check this point. 1. Installation of a metal door in a cold vestibule or veranda. At the same time, a metal-plastic door is installed from the heated room into the vestibule, which has a low thermal conductivity and cuts off the penetration of cold air into the room from the vestibule. As a result, the entrance door will not come into contact with the warm air of the room, but will perform protective functions. This way of solving the problem of freezing is very effective, but it can not always be applied, especially if the construction of the house has already been completed. 2. The second way to solve the freezing problem is the choice of a metal door with thermo gaps in the profile. An effective solution is a polyamide thermal insert. This material perfectly neutralizes the effects of low temperatures. 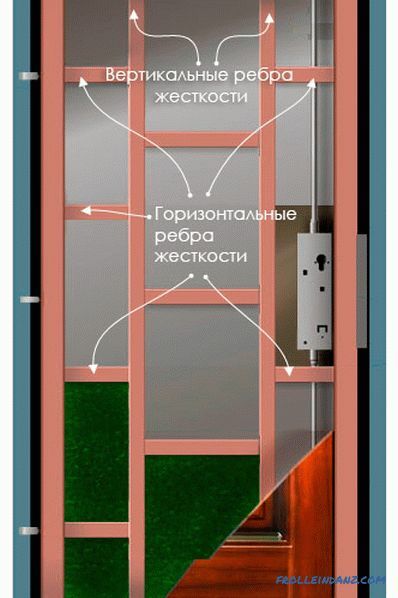 For example, if from the street side the door is “crushed” by -25ºС, then the temperature of its internal part will be + 10ºС. However, this option has disadvantages: firstly, the castle zone is still not protected from freezing, and, secondly, door designs with this type of insulation are twice as expensive as the usual options. 1. Compactor; 2. 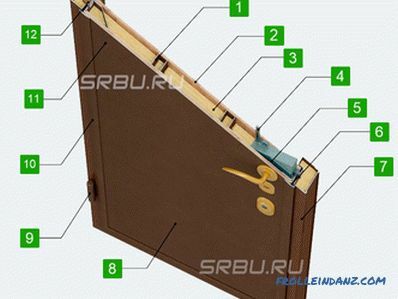 Inner sheet of sheet metal door; 3. Styrofoam; 4. Foiled Izolon; 5. Polyurethane foam; 6. Cork; 7. External sheet of sheet metal door; 8. Thermo insert from foiled isolon for thermal break; 9. Canopies on bearings. 3. Good thermal protection is provided by doors with an electric heating system. The heating cable is placed along the contour of the door, around the locks and inside the box of such a door. This prevents the formation of condensation and ice. Electricity consumption ranges from 2 to 8 kW / day. Thus, even at very low temperatures, the door will always remain dry. The only drawback of this solution is the additional cost of electricity. 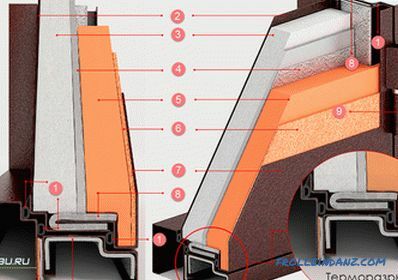 Regardless of the type of internal insulation, the entrance door must be equipped with a double or better triple sealant circuit, the main function of which is to prevent cold air from entering the street through the gaps between the door and the box. Before you choose the front door to a private house, you must first take into account the architectural features of the entrance itself. With direct contact with the street (we do not take into account the visors), the door lining must withstand not only significant temperature differences, but also the influence of precipitation, as well as UV rays. So, for doors that are in contact with the street, it is absolutely not recommended to use wood trimming materials (chipboard, MDF, etc. ), even in the presence of PVC coating. They do not tolerate the effects of moisture, and under the snow and rain will quickly become worthless. Vinyl plating is also resistant to atmospheric precipitation, but it is not cold-resistant enough - already at -20 ° C this material becomes brittle and badly withstands even minor mechanical damage. 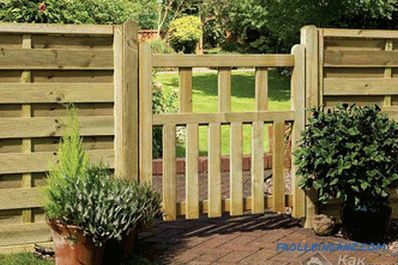 Refined appearance and excellent protection against moisture to the door leaf can provide waterproof ship panels made of oak, alder, walnut, pine. 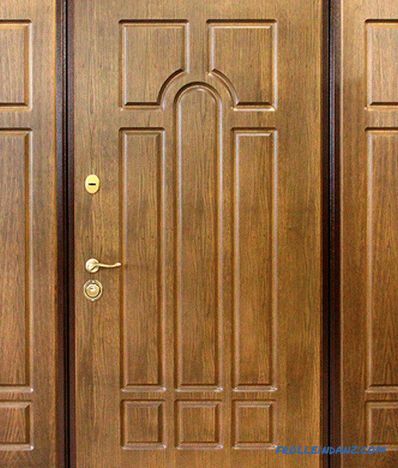 With such a lining, the door will look as if it is made of solid natural wood, but you should immediately take into account that beauty and reliability will have to be paid accordingly. It is difficult to imagine an entrance door without two or three locks. These mechanisms provide 60% of the protective functions of the structure. Therefore, choosing the front door for a private house, you must pay particular attention to the locks. 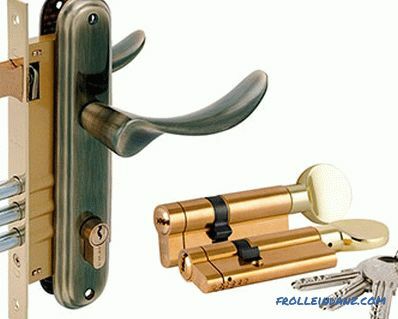 Doors must be equipped with two different types of mortise locks, most often, with lever and cylindrical. But there are cruciform and disc locking devices. 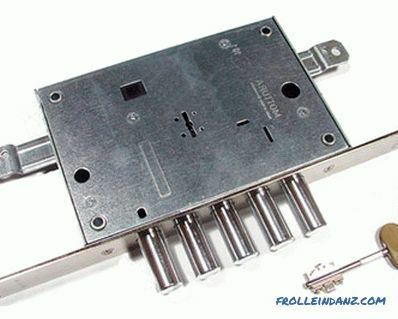 We will not discuss the topic of electronic locks, but consider only mechanical versions of locking mechanisms. The most important element of any lock is a bolt (in a simple way - a deadbolt). It is he who does not allow to open the closed door. For intruders, a deadbolt is a major barrier blocking unauthorized access to a home. High-quality and expensive mortise locks for entrance doors are equipped with bolts of hardened high-strength steel. Most often they have a cylindrical shape and can freely rotate around its axis, so it is not possible to saw them. When locking the door with the key, the bolt enters a special-shaped hole in a metal box that is directly opposite it. The door in the covered state is fixed with a spring-loaded latch. The movement of the bolt is carried out by a turning cam made of hardened steel. And the immediate "command to action" cam gives the key, which is inserted into the "secret" mechanism. The design of the level lever mechanism consists of a set of special levers (plates) in which the teeth are cut. The barbs of the so-called tangles engage with these teeth. safe key. The secrecy of each particular lock lies in the unique arrangement and size of the teeth. If necessary, the level locks can be recoded without disassembling their case, for example, if the key is lost. 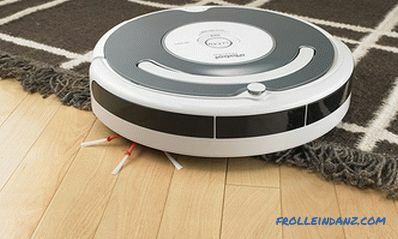 True, this possibility is provided only by the leading manufacturers of these mechanisms. This type of lock is considered the most reliable. These mechanisms are characterized by a high degree of burglary resistance, as well as excellent anti-vandal resistance - when small objects get into the keyhole, the normal operation of the lock will not be disturbed. There are special grooves on the side face of the key. When the key is in the cylindrical part of the “larvae”, the grooves push out spring-loaded thin plates (pins) consisting of two halves, in the process of which the junction points of the pin parts are on the border of the larva case and the rotary cylinder, allowing the key to turn. The key actuates the cam, which in turn moves the bolt. Metal entrance doors are usually equipped with cylinder locks with flat keys, the rib parts of which have unique projections, and the flat parts have special recesses. These locks are characterized by a high degree of secrecy, but have the disadvantage of low vandal resistance. The fact is that even a broken match in the larva can disable the lock, since it will be very problematic to get it. The cross-shaped secret mechanisms are activated by keys that have the shape of a cross from the end. The construction of the larva consists of four rows of pins - one on each side. Such locks do not have special reliability - they are easily opened with the help of master keys. And the level of vandal resistance is quite low. Thus, the cross-shaped lock as the main locking mechanism for the entrance door definitely does not fit. The design of these locks has special-shaped disks that prevent the cylinder from turning without a key. There are grooves on the key, which are located under a certain slope corresponding to the slope of each particular disc. The keyhole is similar in shape to a truncated circle, therefore, it is easy to remove a foreign object from it. Disk locks have a high degree of secrecy and are very difficult to open using master keys, therefore they are an excellent alternative to cylinder locks. An excellent alternative to metal entrance structures are PVC profile doors. Currently, they are widely used in low-rise construction, since they are characterized by durability, durability and aesthetic appearance. But most importantly, they solve the problem of condensation and ice formation. Some believe that these doors are not reliable enough, but these fears are not always justified. The thing is that detractors can get into a private house through the same windows. Therefore, your solid metal door, even no one will touch. It turns out that the use of metal doors is not always justified.How to choose the entrance street door to a private house, made of metal, will be discussed further. 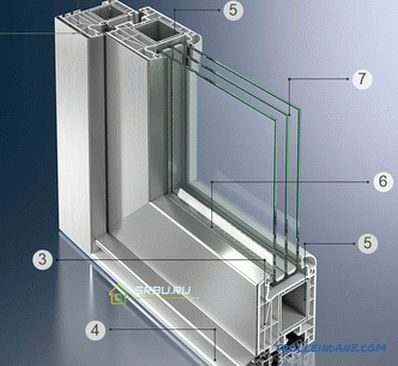 Immediately it should be noted that the production technology of PVC windows and doors is similar, however, in their design, these products are significantly different. Since higher requirements for reliability and safety are imposed on the entrance doors, they are made of a particularly strong profile using reinforcement with steel profiles. The door frame at the good entrance PVC doors are made of a five-chamber profile with a thickness of at least 70 mm. Strengthening of the structure is carried out with the help of a metal reinforcing frame of rectangular or complex cross-section, located along the inner perimeter of the frame. It has a reliable corner mount, providing rigidity of the frame. The presence of the frame allows you to equip the door with powerful hinges and reliable burglar-resistant locking mechanisms. 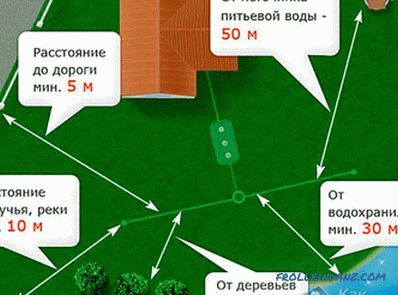 When ordering such a design, be sure to pay attention to the profile: the number of cameras should not be less than five. The design of the door leaf also includes a frame with a metal frame stiffness. As a placeholder, the door is completed not with an ordinary glass package, as in windows, but with triplex or armored glass. This solution contributes to safety and protection against mechanical damage. Along the perimeter of the door and frame there is a rubber seal for heat and waterproofing. For greater reliability, it is recommended to choose exterior doors with a glazing area not exceeding one third of the leaf area (the lower part is deaf, the upper one is with glass). Bifold structures are put in wide openings to evenly distribute the load on the hinges. 1. 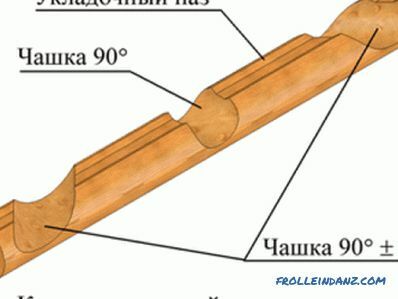 Door frame profile; 2. Rubber seal; 3. Door leaf profile; 4. Threshold; 5. Closed reinforcing profile made of galvanized steel; 6. Seal glass; 7. Triple glazed windows; 8. Closed reinforcing profile door frame, made of galvanized steel. Accessories are hinges, a lock, and a handle. Doors are equipped with at least three anti-hinges that can withstand a large weight of the door (50-70 kg). 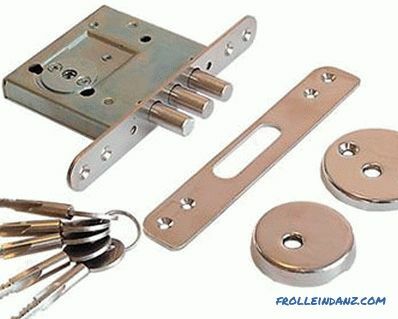 The standard kit includes one lock with a multipoint mechanism. The locks of this type, in addition to the main locking point (the key turning point), actuates the powerful bolts of high-strength steel located along the perimeter. These elements protect the door from burglary and ensure a tight fit of the sash to the frame. Optionally, you can equip the door with an additional short lock (with one locking point). It is also recommended to equip the door with a door closer so that the heavy sash does not shake the whole structure with inaccurate closing. Each The entrance door belongs to a certain security class, although only serious and responsible manufacturers certify their products. The burglar resistance of the door structure is determined by tests. Class III - massive doors with double steel lining on the outside and in addition reinforcing elements in the whole structure. For hacking, it will take about half an hour and a powerful (up to 500 W) Bulgarian. 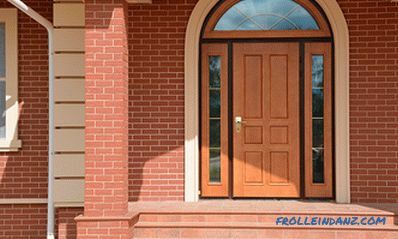 Tip: When choosing a front door, ask who made it and where, and also find out whether this product has passed the official burglar resistance certification and what class it is assigned to. It is of course impossible to answer unequivocally the question of which door is better for a private house. The choice is influenced by many factors: for example, the financial capabilities of the buyer, his personal preferences, home characteristics, climatic conditions of the region of residence, etc. However, there are mandatory basic requirements, based on which you can choose a reliable and durable door that can not only turn the house into a real fortress, but will also become his calling card.